Yesterday, I was reminded late last night, was the second anniversary of the passing of Harry Jaffa and Walter Berns, and I suppose it is a bit crass to use a sad occasion as an opportunity to plug my forthcoming book about these two great men (just a month to publication date now), but then publishers are even more craven than writers when it comes to promotion, so I thought I might as well share another short excerpt with Power Line readers. 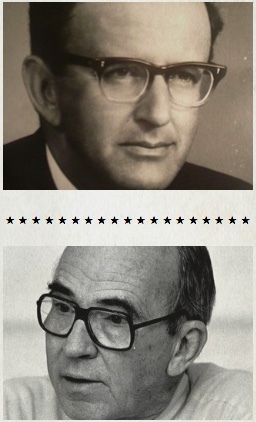 Berns was living proof that one could be a well-educated brilliant scholar and still love America, honor the flag, respect religious faith, and defend the traditional family—all of which were already up for grabs at Cornell by 1962. . . Berns taught an early evening seminar on Locke in spring 1964. As the classroom in the Government and History building was not air-conditioned, the windows were wide open on a warm spring evening, when suddenly a deafeningly loud motorcycle drove by just outside, silencing the booming-voiced Walter. As only he could, he glared at the class for probably ten seconds but felt like an eternity, face growing redder by the second. Then he walked over to the desk and proceeded to kick a heavy wooden chair clear across the platform, and wagging his finger, he slowly growled: “If I ever catch you riding one of those things…” That bright, sunny grin and lighted up eyes were not to be seen that night. What a flood of words and ideas! Whole paragraphs, pages, books, and libraries came tumbling out, on everything from the Goldwater campaign and the future of the Republican Party, to the virtues and vices of National Review and the burgeoning conservative movement, to Shakespeare as political thinker, to the centrality of natural right in the American political tradition, to the greatness of Leo Strauss, the American Founding, Abraham Lincoln, and Winston Churchill. I had never encountered anything like this in my life. There was no finger-wagging, only an endless stream of learned reflections, for the most part gently delivered, one thought begetting another in a long chain of reasoned discourse, which, if one followed the links (which I was barely capable of doing), connected the condition of America circa 1965 to forgotten lessons taught by Aristotle. Okay, so you all know what to do.